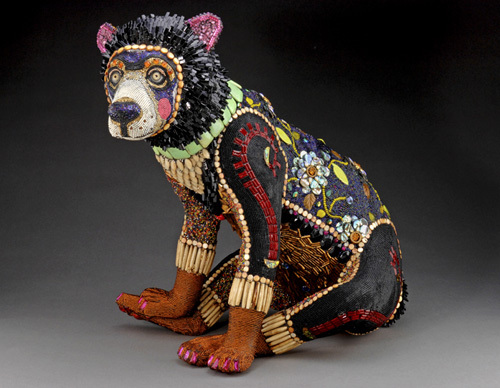 Betsy Youngquist is a mixed media artist of Rockford, IL who has been working with beads for twenty years and is known for creating awesome sculptors embelleshed with beaded mosaics. Betsy works with sculptor R. Scott Long who helps her in designing and constructing the sculpture forms. 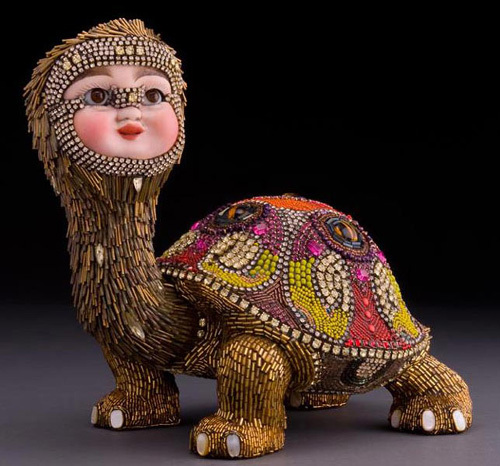 Each of her piece is carved with great attention to detail and the surfaces of object are covered with seed beads, parts of vintage dolls and found objects. 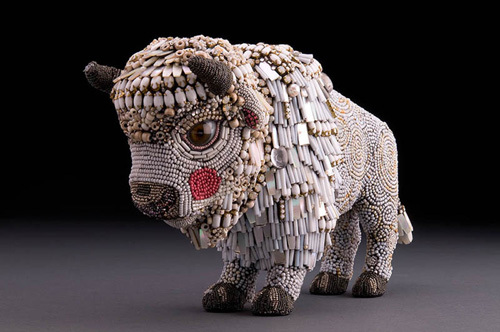 Her bead work reflects "a fascination with the intersection of humans, animals, and mythology. 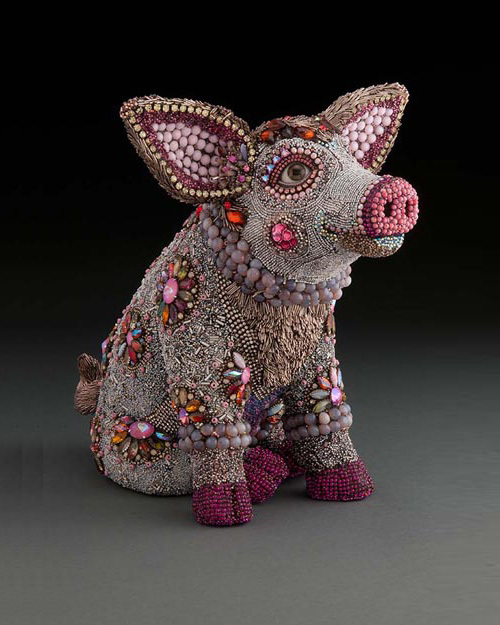 Stemming from a life-long love of all creatures great and small, Betsy’s work weaves together the human and animal spirit through a surrealistic lens." 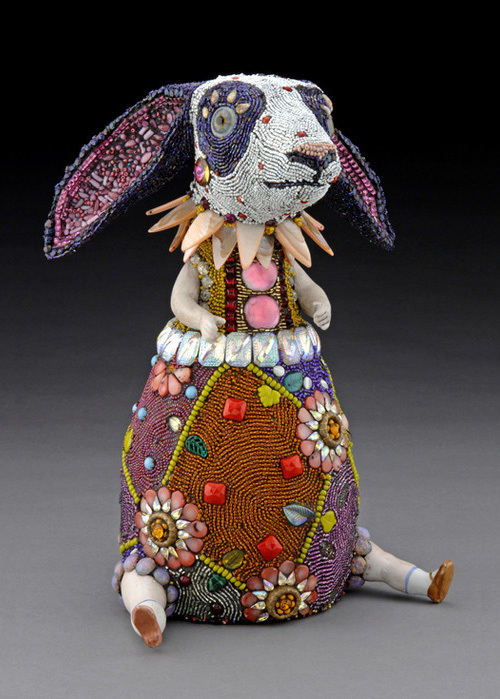 Betsy has exhibited at the National Museum of Women in the Arts and the Smithsonian Craft Show in Washington, D.C., the VIDA Museum in Borgholm, Sweden, and completed an installation project for the Racine Art Museum in Racine, WI. 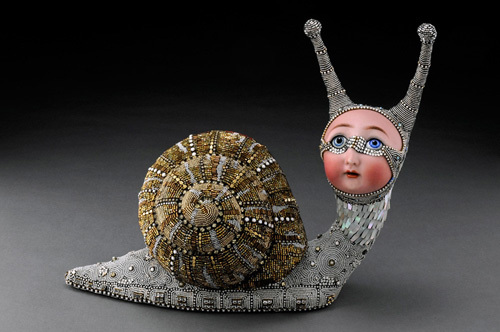 If you live in Missouri and would like to see her curious creatures in person then you can stop by at St. Louis Art Fair from Sept. 5th through 7th. For more details on the fair venue go to Cultural Festivals. I hope you enjoyed the features I shared with you here this week. 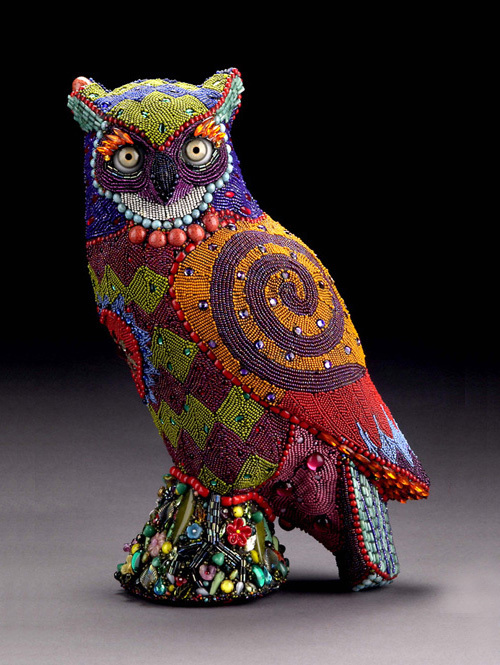 If you like, you can join me on Facebook where I'll be sharing more owl-some finds over the weekend. Have a lovely weekend!